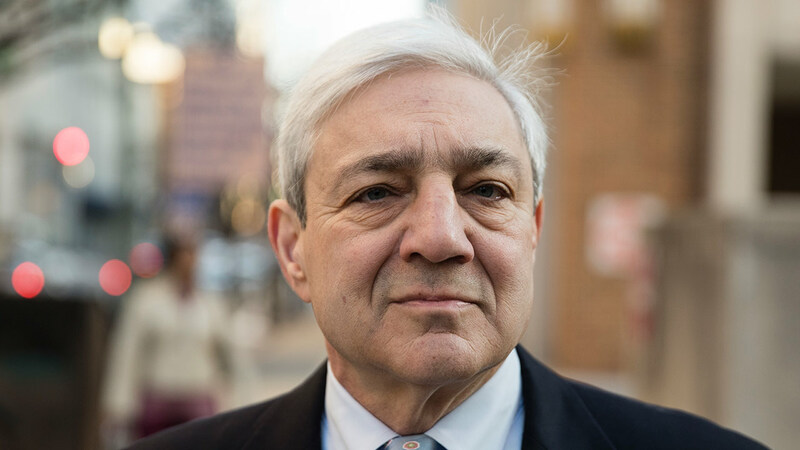 HARRISBURG, Pa. -- A juror who voted to convict Penn State's former president of child endangerment said that the defendant's own words in a 2001 email amounted to some of the strongest evidence against him. Spanier approved a plan on how to deal with a report that assistant football coach Jerry Sandusky showering with a boy in a team facility. In the email, he told the other two administrators that the "only downside" was if Sandusky did not respond properly "and then we become vulnerable for not having reported it." Spanier, who did not testify or put on any witnesses, has said he had no inkling that the 2001 complaint by then-graduate assistant coach Mike McQueary to Curley, Schultz and former head football coach Joe Paterno was about a sexual attack on a child, as McQueary has repeatedly testified was the case. Spanier has said it was characterized as horseplay. "This whole crap about 'horseplay' - they apparently were comfortable using the word horseplay for some reason," Navazio said. "But at the same time you can't say it was horseplay, but everybody says how serious it was." Navazio, a Harrisburg resident who works in the software field, has a bachelor's degree from Penn State-Harrisburg, but had not continued to follow the Sandusky child molestation scandal in recent years. The Sandusky scandal led the university to fire Paterno and force out Spanier, triggered NCAA sanctions against the school and football program that were later reduced and shorted, and eventually caused the school to pay out more than $90 million to settle civil claims of abuse at Sandusky's hands. Sandusky was convicted in 2012 of 45 counts of child sexual abuse and is serving 30 to 60 years in prison. A few other jurors who were contacted by The Associated Press either deferred comment or declined to comment on the case.